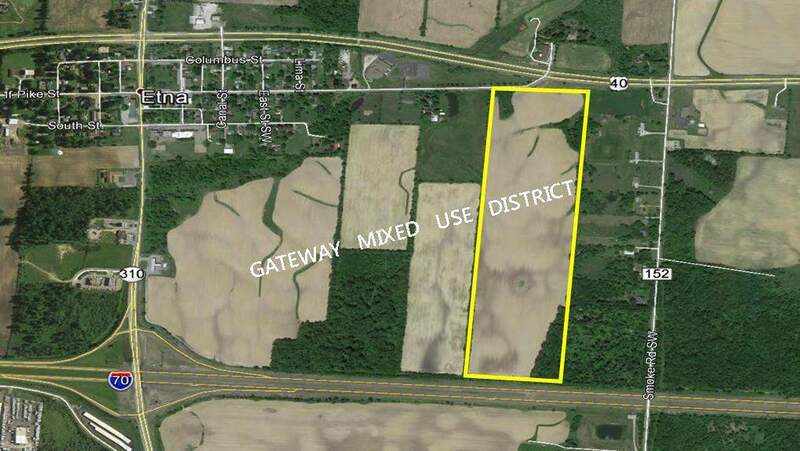 61.07 Acres of Development Land in Etna Township / Southwest Licking Local School District. 818' of Frontage on US Route 40 and 825' of Frontage on I-7o. Currently Zoned GB-1 (General Business) + R-1 (Residential). This Property will be Part of the new "Gateway Mixed Use District". Owner will Work with Buyer to Re-Zone to Accommodate Buyer's Intended Use. Seller will Split Commercial Out-Parcels on Route 40 Frontage from 1 Acre Up to 6.7 Acres. Pricing Negotiable Depending on Size, Location and Development Costs.